The European Central Bank (ECB; French: Banque centrale européenne) is the central bank for the euro and administers monetary policy of the eurozone, which consists of 19 EU member states and is one of the largest currency areas in the world. It is one of the world's most important central banks and is one of the seven institutions of the European Union (EU) listed in the Treaty on European Union (TEU). The capital stock of the bank is owned by the central banks of all 28 EU member states. The Treaty of Amsterdam established the bank in 1998, and it is headquartered in Frankfurt, Germany. As of 2015 the President of the ECB is Mario Draghi, former governor of the Bank of Italy, former member of the World Bank, and former managing director of the Goldman Sachs international division (2002–2005). The bank primarily occupied the Eurotower prior to, and during, the construction of the new headquarters. The primary objective of the ECB, mandated in Article 2 of the Statute of the ECB, is to maintain price stability within the Eurozone. Its basic tasks, set out in Article 3 of the Statute, are to set and implement the monetary policy for the Eurozone, to conduct foreign exchange operations, to take care of the foreign reserves of the European System of Central Banks and operation of the financial market infrastructure under the TARGET2 payments system and the technical platform (currently being developed) for settlement of securities in Europe (TARGET2 Securities). The ECB has, under Article 16 of its Statute, the exclusive right to authorise the issuance of euro banknotes. Member states can issue euro coins, but the amount must be authorised by the ECB beforehand. The ECB is governed by European law directly, but its set-up resembles that of a corporation in the sense that the ECB has shareholders and stock capital. Its capital is €11 billion held by the national central banks of the member states as shareholders. The initial capital allocation key was determined in 1998 on the basis of the states' population and GDP, but the capital key has been adjusted. Shares in the ECB are not transferable and cannot be used as collateral. The European Central Bank is the de facto successor of the European Monetary Institute (EMI). The EMI was established at the start of the second stage of the EU's Economic and Monetary Union (EMU) to handle the transitional issues of states adopting the euro and prepare for the creation of the ECB and European System of Central Banks (ESCB). The EMI itself took over from the earlier European Monetary Co-operation Fund (EMCF). The ECB formally replaced the EMI on 1 June 1998 by virtue of the Treaty on European Union (TEU, Treaty of Maastricht), however it did not exercise its full powers until the introduction of the euro on 1 January 1999, signalling the third stage of EMU. The bank was the final institution needed for EMU, as outlined by the EMU reports of Pierre Werner and President Jacques Delors. It was established on 1 June 1998. The first President of the Bank was Wim Duisenberg, the former president of the Dutch central bank and the European Monetary Institute. While Duisenberg had been the head of the EMI (taking over from Alexandre Lamfalussy of Belgium) just before the ECB came into existence, the French government wanted Jean-Claude Trichet, former head of the French central bank, to be the ECB's first president. The French argued that since the ECB was to be located in Germany, its president should be French. This was opposed by the German, Dutch and Belgian governments who saw Duisenberg as a guarantor of a strong euro. Tensions were abated by a gentleman's agreement in which Duisenberg would stand down before the end of his mandate, to be replaced by Trichet. Trichet replaced Duisenberg as President in November 2003. There had also been tension over the ECB's Executive Board, with the United Kingdom demanding a seat even though it had not joined the Single Currency. Under pressure from France, three seats were assigned to the largest members, France, Germany, and Italy; Spain also demanded and obtained a seat. Despite such a system of appointment the board asserted its independence early on in resisting calls for interest rates and future candidates to it. When the ECB was created, it covered a Eurozone of eleven members. Since then, Greece joined in January 2001, Slovenia in January 2007, Cyprus and Malta in January 2008, Slovakia in January 2009, Estonia in January 2011, Latvia in January 2014 and Lithuania in January 2015, enlarging the bank's scope and the membership of its Governing Council. On 1 December 2009, the Treaty of Lisbon entered into force, ECB according to the article 13 of TEU, gained official status of an EU institution. In September 2011, when German appointee to the Governing Council and Executive board, Jürgen Stark, resigned in protest of the ECB's bond buying programme, Financial Times Deutschland called it "the end of the ECB as we know it" referring to its perceived "hawkish" stance on inflation and its historical Bundesbank influence. On 1 November 2011, Mario Draghi replaced Jean-Claude Trichet as President of the ECB. In April 2011, the ECB raised interest rates for the first time since 2008 from 1% to 1.25%, with a further increase to 1.50% in July 2011. However, in 2012–2013 the ECB sharply lowered interest rates to encourage economic growth, reaching the historically low 0.25% in November 2013. Soon after the rates were cut to 0.15%, then on 4 September 2014 the central bank reduced the rates by two thirds from 0.15% to 0.05%, the lowest rates on record. In November 2014, the bank moved into its new premises. The primary objective of the European Central Bank, set out in Article 127(1) of the Treaty on the Functioning of the European Union, is to maintain price stability within the Eurozone. The Governing Council in October 1998 defined price stability as inflation of under 2%, “a year-on-year increase in the Harmonised Index of Consumer Prices (HICP) for the euro area of below 2%” and added that price stability ”was to be maintained over the medium term”. (Harmonised Index of Consumer Prices) Unlike for example the United States Federal Reserve Bank, the ECB has only one primary objective but this objective has never been defined in statutory law, and the HICP target can be termed ad-hoc. The Governing Council confirmed this definition in May 2003 following a thorough evaluation of the ECB's monetary policy strategy. On that occasion, the Governing Council clarified that “in the pursuit of price stability, it aims to maintain inflation rates below, but close to, 2% over the medium term”. All lending to credit institutions must be collateralised as required by Article 18 of the Statute of the ESCB. The Governing Council clarification has little force in law. Without prejudice to the objective of price stability, the Treaty also states that "the ESCB shall support the general economic policies in the Union with a view to contributing to the achievement of the objectives of the Union". The basic tasks of the ECB are to define and implement the monetary policy for the Eurozone, to conduct foreign exchange operations, to take care of the foreign reserves of the European System of Central Banks and to promote smooth operation of the financial market infrastructure under the TARGET2 payments system and being currently developed technical platform for settlement of securities in Europe (TARGET2 Securities). Further tasks, among others, include the exclusive right to authorise the issuance of euro banknotes. Member states can issue euro coins, but the amount must be authorised by the ECB beforehand (upon the introduction of the euro, the ECB also had exclusive right to issue coins). 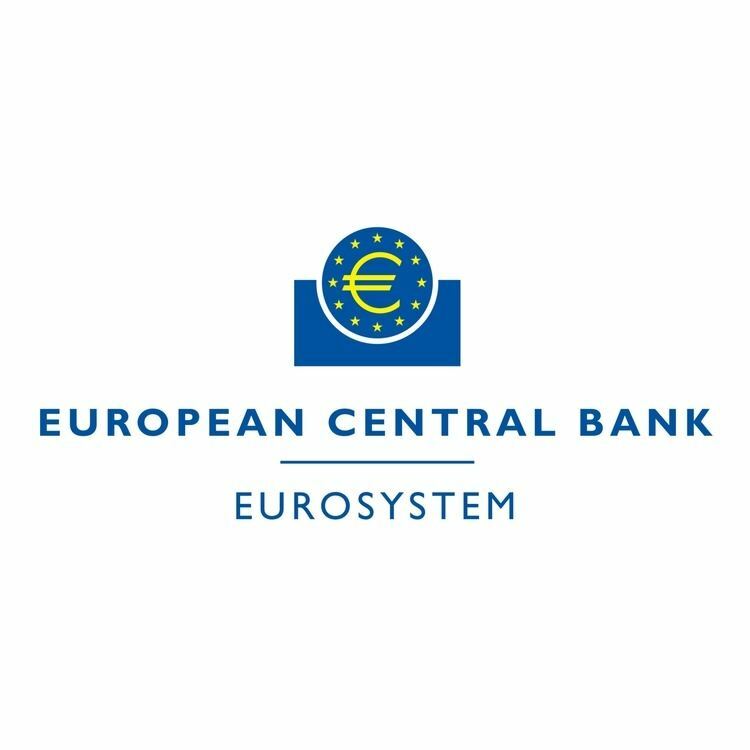 The ECB shall also collect statistical information to fulfil the tasks of the European System of Central Banks, and contribute to financial stability and supervision. In U.S.-style central banking, the Federal Reserve System purchases Treasury securities in order to inject liquidity into the economy; the Eurosystem, on the other hand, uses a different method. There are about 1,500 eligible banks which may bid for short-term repo contracts of two weeks to three months duration. The banks in effect borrow cash and must pay it back; the short durations allow interest rates to be adjusted continually. When the repo notes come due the participating banks bid again. An increase in the quantity of notes offered at auction allows an increase in liquidity in the economy. A decrease has the contrary effect. The contracts are carried on the asset side of the European Central Bank's balance sheet and the resulting deposits in member banks are carried as a liability. In layman terms, the liability of the central bank is money, and an increase in deposits in member banks, carried as a liability by the central bank, means that more money has been put into the economy. To qualify for participation in the auctions, banks must be able to offer proof of appropriate collateral in the form of loans to other entities. These can be the public debt of member states, but a fairly wide range of private banking securities are also accepted. The fairly stringent membership requirements for the European Union, especially with regard to sovereign debt as a percentage of each member state's gross domestic product, are designed to insure that assets offered to the bank as collateral are, at least in theory, all equally good, and all equally protected from the risk of inflation. The Executive Board is responsible for the implementation of monetary policy (defined by the Governing Council) and the day-to-day running of the bank. It can issue decisions to national central banks and may also exercise powers delegated to it by the Governing Council. It is composed of the President of the Bank (currently Mario Draghi), the Vice-President (currently Vitor Constâncio) and four other members. They are all appointed for non-renewable terms of eight years. They are appointed "from among persons of recognised standing and professional experience in monetary or banking matters by common accord of the governments of the Member States at the level of Heads of State or Government, on a recommendation from the Council, after it has consulted the European Parliament and the Governing Council of the ECB". The Executive Board normally meets every Tuesday. José Manuel González-Páramo, a Spanish member of the Executive Board since June 2004, was due to leave the board in early June 2012 and no replacement had been named as of late May 2012. The Spanish had nominated Barcelona-born Antonio Sáinz de Vicuña, an ECB veteran who heads its legal department, as González-Páramo's replacement as early as January 2012 but alternatives from Luxembourg, Finland, and Slovenia were put forward and no decision made by May. After a long political battle, Luxembourg's Yves Mersch, was appointed as González-Páramo's replacement. The Governing Council is the main decision-making body of the Eurosystem. It comprises the members of the Executive Board (six in total) and the governors of the National Central Banks of the euro area countries (19 as of 2015). Since January 2015 council minutes of the Council are published on internet, before 2015 the fact that the Council's minutes were not published had raised controversy in some financial circles. The General Council is a body dealing with transitional issues of euro adoption, for example, fixing the exchange rates of currencies being replaced by the euro (continuing the tasks of the former EMI). It will continue to exist until all EU member states adopt the euro, at which point it will be dissolved. It is composed of the President and vice-president together with the governors of all of the EU's national central banks. The Supervisory Board meets twice a month to discuss, plan and carry out the ECB’s supervisory tasks. It proposes draft decisions to the Governing Council under the non-objection procedure. It is composed of Chair (appointed for a non-renewable term of five years), Vice-Chair (chosen from among the members of the ECB's Executive Board) four ECB representatives and representatives of national supervisors. If the national supervisory authority designated by a Member State is not a national central bank (NCB), the representative of the competent authority can be accompanied by a representative from their NCB. In such cases, the representatives are together considered as one member for the purposes of the voting procedure. It also includes the Steering Committee, which supports the activities of the Supervisory Board and prepares the Board’s meetings. It is composed by the Chair of the Supervisory Board, Vice-Chair of the Supervisory Board, one ECB representative and five representatives of national supervisors. The five representatives of national supervisors are appointed by the Supervisory Board for one year based on a rotation system that ensures a fair representation of countries. The ECB is governed by European law directly, but its set-up resembles that of a corporation in the sense that the ECB has shareholders and stock capital. Its initial capital was supposed to be €5 billion and the initial capital allocation key was determined in 1998 on the basis of the member states' populations and GDP, but the key is adjustable. The euro area NCBs were required to pay their respective subscriptions to the ECB's capital in full. The NCBs of the non-participating countries have had to pay 7% of their respective subscriptions to the ECB's capital as a contribution to the operational costs of the ECB. As a result, the ECB was endowed with an initial capital of just under €4 billion. The capital is held by the national central banks of the member states as shareholders. Shares in the ECB are not transferable and cannot be used as collateral. The NCBs are the sole subscribers to and holders of the capital of the ECB. Today, ECB capital is about €11 billion, which is held by the national central banks of the member states as shareholders. The NCBs’ shares in this capital are calculated using a capital key which reflects the respective member’s share in the total population and gross domestic product of the EU. The ECB adjusts the shares every five years and whenever a new country joins the EU. The adjustment is made on the basis of data provided by the European Commission. All national central banks (NCBs) that own a share of the ECB capital stock as of 1 January 2015 are listed below. Non-Euro area NCBs are required to pay up only a very small percentage of their subscribed capital, which accounts for the different magnitudes of Euro area and Non-Euro area total paid-up capital. In addition to capital subscriptions, the NCBs of the member states participating in the euro area provided the ECB with foreign reserve assets equivalent to around €40 billion. The contributions of each NCB is in proportion to its share in the ECB's subscribed capital, while in return each NCB is credited by the ECB with a claim in euro equivalent to its contribution. 15% of the contributions was made in gold, and the remaining 85% in US dollars and Japanese yen. The internal working language of the ECB is generally English, and press conferences are usually held in English. External communications are handled flexibly: English is preferred (though not exclusively) for communication within the ESCB (i.e. with other central banks) and with financial markets; communication with other national bodies and with EU citizens is normally in their respective language, but the ECB website is predominantly English; official documents such as the Annual Report are in the official languages of the EU. The Eurosystem is functionally or operationally independent. When performing Eurosystem-related tasks, neither the ECB, nor an NCB, nor any member of their decision-making bodies may seek or take instructions from any external body. The Community institutions and bodies and the governments of the member states may not seek to influence the members of the decision-making bodies of the ECB or of the NCBs in the performance of their tasks. Governors of national central banks have a minimum renewable term of office of five years. Members of the Executive Board of the ECB have a minimum non-renewable term of office of eight years (and a system of staggered appointments was used for the first Executive Board for members other than the President in order to ensure continuity). Removals from office are only possible in the event of incapacity or serious misconduct; and in this respect the Court of Justice of the European Communities is competent to settle any dispute. The independence of the ECB is instrumental in maintaining price stability. Not only must the bank not seek influence, but EU institutions and national governments are bound by the treaties to respect the ECB's independence. To offer some accountability, the ECB is bound to publish reports on its activities and has to address its annual report to the European Parliament, the European Commission, the Council of the European Union and the European Council. The European Parliament also gets to question and then issue its opinion on candidates to the executive board. The governors of national central banks represented in the Governing Council of the ECB are appointed by their national executives, and can be reappointed. In spite of the fact that voting inside the ECB is secret, there is some evidence pointing in the direction of Governing Council members voting along national lines. The ECB's financial independence means that the ECB has its own budget. Its capital is subscribed and paid up by the euro area central banks. From late 2009 a handful of mainly southern eurozone member states started being unable to repay their national Euro-denominated government debt or to finance the bail-out of troubled financial sectors under their national supervision without the assistance of third parties. This so-called European debt crisis began after Greece's new elected government stopped masking its true indebtedness and budget deficit and openly communicated the imminent danger of a Greek sovereign default. Seeing a sovereign default in the eurozone as a shock, the general public, international and European institutions, and the financial community started to intensively reassess the economic situation and creditworthiness of eurozone states. Those eurozone states being assessed as not financially sustainable enough on their current path, faced waves of credit rating downgrades and rising borrowing costs including increasing interest rate spreads. As a consequence, the ability of these states to borrow new money to further finance their budget deficits or to refinance existing unsustainable debt levels was strongly reduced. The ECB has pronounced that the EU and its member states are in the main responsible for solving the fiscal crisis of some member states. Until 2009 there had not been sufficient instruments in place on the eurozone level to prevent or solve a debt crisis in a member state. In 2010, two temporary rescue programmes have been started, the European Financial Stabilisation Mechanism (EFSM) and the European Financial Stability Facility (EFSF). Together with massive financial support of the International Monetary Fund (IMF), these facilities have provided funds to Greece, Ireland, and Portugal in 2010 and 2011. In 2012 the European Stability Mechanism (ESM) with a lending capacity of €500 billion, has been established to replace the previous temporary rescue programmes. The ESM is intended as a permanent firewall for the eurozone to safeguard and provide instant access to financial assistance programmes for member states in financial difficulty. Spain and Cyprus have drawn funds from the ESM programme in 2012 and 2013, with a focus on recapitalization (bail-out) of their financial sectors. In 2013 the European Fiscal Compact became valid as a contract that obliges the EU member states to introduce domestic self-correcting mechanisms on member state level to ensure balanced public budgets and sustainable public debt levels. In 2014 the Single Supervisory Mechanism (SSM) was introduced. It grants the European Central Bank (ECB) a supervisory role to monitor the financial stability of banks in the eurozone states (full members) and other EU states. This supervision is intended as a first step to prevent bank bailout needs in EU states that could induce or contribute to a debt crisis in the respective state. The EU contracts forbid the financial bailout of other eurozone countries having problems to service their financial obligations. The emergency set-up of the various eurozone rescue funds to help the crisis states to fulfill their obligations was to a certain degree a violation of the non-bailout clause, but it is documented that there were no alternatives that the eurozone states could agree on in this unforeseen debt crisis situation. There is also a widespread view that giving much more financial support to continuously cover the debt crisis or allow even higher budget deficits or debt levels would discourage the crisis states to implement necessary reforms to regain their competitiveness. There has also been a reluctance of financially stable eurozone states like Germany to further circumvent the no-bailout clause in the EU contracts and to generally take on the burden of financing or guaranteeing the debts of financially unstable or defaulting eurozone countries. This has led to public discussions if Greece, Portugal, and even Italy would be better off leaving the eurozone to regain economical and financial stability if they would not implement reforms to strengthen their competitiveness as part of the eurozone in time. Greece had the greatest need for reforms but also most problems to implement those, so the Greek exit, also called "Grexit", has been widely discussed. Germany, as a large and financially stable state being in the focus to be asked to guarantee or repay other states debt, has never pushed those exits. Their position is to keep Greece within the eurozone, but not at any cost. If the worst comes to the worst, priority should be given to the euro's stability. There are a variety of possible responses to the problem of bad debts in a banking system. One is to induce debtors to make a greater effort to make good on their debt. With public debt this usually means getting governments to maintain debt payments while cutting back on other forms of expenditure. Such policies often involve cutting back on popular social programmes. Stringent policies with regard to social expenditures and employment in the state sector have led to riots and political protests in Greece. Another response is to shift losses from the central bank to private investors who are asked to "share the pain" of partial defaults that take the form of rescheduling debt payments. However, if the debt rescheduling causes losses on loans held by European banks, it weakens the private banking system, which then puts pressure on the central bank to come to the aid of those banks. Private-sector bond holders are an integral part of the public and private banking system. Another possible response is for wealthy member countries to guarantee or purchase the debt of countries that have defaulted or are likely to default. This alternative requires that the tax revenues and credit of the wealthy member countries be used to refinance the previous borrowing of the weaker member countries, and is politically controversial. In contrast to the Fed, the ECB normally does not buy bonds outright. The normal procedure used by the ECB for manipulating the money supply has been via the so-called refinancing facilities. In these facilities, bonds are not purchased but used in reverse transactions: repurchase agreements, or collateralised loans. These two transactions are similar, i.e. bonds are used as collaterals for loans, the difference being of legal nature. In the repos the ownership of the collateral changes to the ECB until the loan is repaid. This changed with the recent sovereign-debt crisis. The ECB always could, and through the late summer of 2011 did, purchase bonds issued by the weaker states even though it assumes, in doing so, the risk of a deteriorating balance sheet. ECB buying focused primarily on Spanish and Italian debt. Certain techniques can minimise the impact. Purchases of Italian bonds by the central bank, for example, were intended to dampen international speculation and strengthen portfolios in the private sector and also the central bank. The assumption is that speculative activity will decrease over time and the value of the assets increase. Such a move is similar to what the US federal reserve did in buying subprime mortgages in the crisis of 2008, except in the European crisis, the purchases are of member state debt. The risk of such a move is that it could diminish the value of the currency. On the other hand, certain financial techniques can reduce the impact of such purchases on the currency. One is sterilisation, in which highly valued assets are sold at the same time that the weaker assets are purchased, which keeps the money supply neutral. Another technique is simply to accept the bad assets as long-term collateral (as opposed to short-term repo swaps) to be held until their market value stabilises. This would imply, as a quid pro quo, adjustments in taxation and expenditure in the economies of the weaker states to improve the perceived value of the assets. When the ECB buys bonds from other creditors such as European banks, the ECB does not disclose the transaction prices. Creditors profit of bargains with bonds sold at prices that exceed market's quotes. As of 18 June 2012, the ECB in total had spent €212.1bn (equal to 2.2% of the Eurozone GDP) for bond purchases covering outright debt, as part of its Securities Markets Programme (SMP) running since May 2010. On 6 September 2012, the ECB announced a new plan for buying bonds from eurozone countries. The duration of the previous SMP was temporary, while the Outright Monetary Transactions (OMT) programme has no ex-ante time or size limit. On 4 September 2014, the bank went further by announcing it would buy bonds and other debt instruments primarily from banks in a bid to boost the availability of credit for businesses. The Emergency Lending Assistance (ELA) programme was designed for financial institutions in a liquidity crisis, such as the Greek banks in the course of the 2015 Greek financial snafu, when the banks experienced massive deposit flight. On 9 March 2015 the ECB started its quantitative easing programme, which was designed to ease sovereign stress in its member states. Purchases are initially €60bn per month and subsequently increased to €80bn per month. The program is expected to last until at least September 2016. Though the ECB's main refinancing operations (MRO) are from repo auctions with a (bi)weekly maturity and monthly maturation, the ECB now conducts long-term refinancing operations (LTROs), maturing after three months, six months, 12 months and 36 months. In 2003, refinancing via LTROs amounted to 45 bln euro which is about 20% of overall liquidity provided by the ECB. The ECB's first supplementary longer-term refinancing operation (LTRO) with a six-month maturity was announced March 2008. Previously the longest tender offered was three months. It announced two 3-month and one 6-month full allotment of Long Term Refinancing Operations (LTROs). The first tender was settled 3 April, and was more than four times oversubscribed. The €25 billion auction drew bids amounting to €103.1 billion, from 177 banks. Another six-month tender was allotted on 9 July, again to the amount of €25 billion. The first 12-month LTRO in June 2009 had close to 1100 bidders. On 21 December 2011 the bank instituted a programme of making low-interest loans with a term of three years (36 months) and 1% interest to European banks accepting loans from the portfolio of the banks as collateral. Loans totalling €489.2 bn (US$640 bn) were announced. The loans were not offered to European states, but government securities issued by European states would be acceptable collateral as would mortgage-backed securities and other commercial paper that can be demonstrated to be secure. The programme was announced on 8 December 2011 but observers were surprised by the volume of the loans made when it was implemented. Under its LTRO it loaned €489bn to 523 banks for an exceptionally long period of three years at a rate of just one percent. The by far biggest amount of €325bn was tapped by banks in Greece, Ireland, Italy and Spain. This way the ECB tried to make sure that banks have enough cash to pay off €200bn of their own maturing debts in the first three months of 2012, and at the same time keep operating and loaning to businesses so that a credit crunch does not choke off economic growth. It also hoped that banks would use some of the money to buy government bonds, effectively easing the debt crisis. On 29 February 2012, the ECB held a second 36-month auction, LTRO2, providing eurozone banks with further €529.5 billion in low-interest loans. This second long term refinancing operation auction saw 800 banks take part. This can be compared with the 523 banks that took part in the first auction on 21 December 2011. Net new borrowing under the February auction was around €313 billion – out of a total of €256bn existing ECB lending €215bn was rolled into LTRO2. The European debt crisis has revealed some relative weaknesses in the sovereign debt of such member countries as Portugal, Ireland, Greece and Spain. Allocate considerable national income to servicing debts. Scale back a wide range of national expenditures (such as education, infrastructure, and welfare transfer payments) to make their payments. The European Central Bank had stepped up the buying of member nations debt. In response to the crisis of 2010, some proposals have surfaced for a collective European bond issue that would allow the central bank to purchase a European version of US Treasury bills. To make European sovereign debt assets more similar to a US Treasury, a collective guarantee of the member states' solvency would be necessary. But the German government has resisted this proposal, and other analyses indicate that "the sickness of the euro" is due to the linkage between sovereign debt and failing national banking systems. If the European central bank were to deal directly with failing banking systems sovereign debt would not look as leveraged relative to national income in the financially weaker member states. On 17 December 2010, the ECB announced that it was going to double its capitalisation. (The ECB's most recent balance sheet before the announcement listed capital and reserves at €2.03 trillion.) The 16 central banks of the member states would transfer assets to the ledger of the ECB. In 2011, the European member states may need to raise as much as US$2 trillion in debt. Some of this will be new debt and some will be previous debt that is "rolled over" as older loans reach maturity. In either case, the ability to raise this money depends on the confidence of investors in the European financial system. The ability of the European Union to guarantee its members' sovereign debt obligations have direct implications for the core assets of the banking system that support the Euro. The bank must also co-operate within the EU and internationally with third bodies and entities. Finally, it contributes to maintaining a stable financial system and monitoring the banking sector. The latter can be seen, for example, in the bank's intervention during the subprime mortgage crisis when it loaned billions of euros to banks to stabilise the financial system. In December 2007, the ECB decided in conjunction with the Federal Reserve System under a programme called Term auction facility to improve dollar liquidity in the eurozone and to stabilise the money market. In late May 2012, looking ahead to further challenges with Greece, Bundesbank chief and ECB council member Jens Weidmann pointed out that the council could veto "emergency liquidity assistance" (ELA) to, for instance, Greece through a two–third majority of the council. If Greece chose to default on its debts yet wanted to stay in the Euro, the ELA would be one of the ways to accommodate the country's and its banks' liquidity needs or, alternatively, to precipitate departure. On 31 October 2012, the ECB announced it had phased out as planned the Covered Bond Purchase programme, which was one of the crisis measures aimed at supporting the shaky banking system of the 17-country eurozone. On Wednesday, February 24, 2016, as part of the Bundesbank's annual news conference, Bundesbank president and European Central Bank Governing Council member, Jens Weidmann, dismissed deflation in light of the ECB's current stimulus program, pointing out the healthy condition of the German economy and that the euro area isn't that bad off, on the eve of the March 9–10, 2016 meetings. On 9 May 2010, the 27 member states of the European Union agreed to incorporate the European Financial Stability Facility (EFSF). The EFSF's mandate is to safeguard financial stability in Europe by providing financial assistance to Eurozone Member States. To provide loans to countries in financial difficulties (e.g. Greek bailout). To intervene in the primary and secondary debt markets. Intervention in the secondary debt market will be only on the basis of an ECB analysis recognising the existence of exceptional financial market circumstances and risks to financial stability. Act on the basis of a precautionary programme. The principal monetary policy tool of the European central bank is collateralised borrowing or repo agreements. These tools are also used by the United States Federal Reserve Bank, but the Fed does more direct purchasing of financial assets than its European counterpart. The collateral used by the ECB is typically high quality public and private sector debt. The criteria for determining "high quality" for public debt have been preconditions for membership in the European Union: total debt must not be too large in relation to gross domestic product, for example, and deficits in any given year must not become too large. Though these criteria are fairly simple, a number of accounting techniques may hide the underlying reality of fiscal solvency—or the lack of same. In central banking, the privileged status of the central bank is that it can make as much money as it deems needed. In the United States Federal Reserve Bank, the Federal Reserve buys assets: typically, bonds issued by the Federal government. There is no limit on the bonds that it can buy and one of the tools at its disposal in a financial crisis is to take such extraordinary measures as the purchase of large amounts of assets such as commercial paper. The purpose of such operations is to ensure that adequate liquidity is available for functioning of the financial system. Think-tanks such as the World Pensions Council have also argued that European legislators have pushed somewhat dogmatically for the adoption of the Basel II recommendations, adopted in 2005, transposed in European Union law through the Capital Requirements Directive (CRD), effective since 2008. In essence, they forced European banks, and, more importantly, the European Central Bank itself e.g. when gauging the solvency of financial institutions, to rely more than ever on standardised assessments of credit risk marketed by two non-European private agencies: Moody's and S&P. The bank is based in Frankfurt, the largest financial centre in the Eurozone. Its location in the city is fixed by the Amsterdam Treaty. The bank moved to new purpose-built headquarters in 2014 which were designed a Vienna-based architectural office named Coop Himmelbau. The building is approximately 180 metres (591 ft) tall and will be accompanied with other secondary buildings on a landscaped site on the site of the former wholesale market in the eastern part of Frankfurt am Main. The main construction began in October 2008, and it was expected that the building will become an architectural symbol for Europe. While it was designed to accommodate double the number of staff who operate in the former Eurotower, that building has been retained since the ECB took responsibility for banking supervision and more space was hence required.